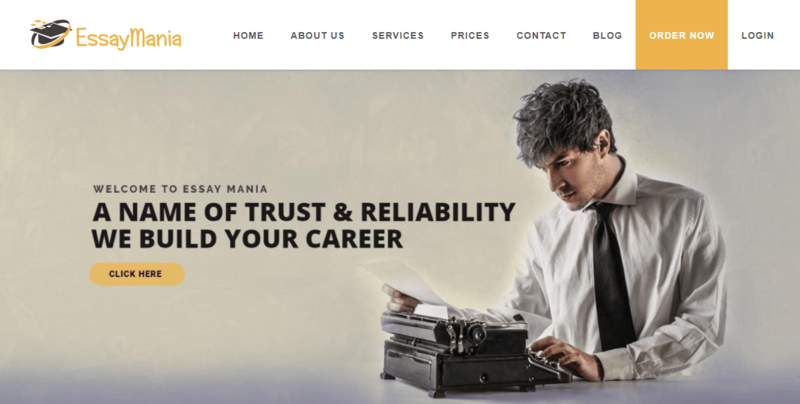 Even though the official website of essaymania.co.uk has a statement that says ‘a name of trust and reliability’, this company seems to have a rather bad reputation on the writing market. The number of testimonials online is very big, which is probably a result of the low prices offered, but the number of customers complaining of low paper quality is concerning. Since there is no Services page on the official website, you cannot really see the full list of services provided at EssayMania, unless you go through the ordering form. Once you do, you will learn that the range of services offered here consists of more than just essay help, editing and paraphrasing. Still, it remains a limited list, since students get only a dozen papers to choose from. Such a short list of services makes this company a bad choice for those who need a regular content provider that can help them with a big variety of assignments. If you were looking to order the most popular, commonly assigned papers only, this would be a solid source. Of course, that is if the quality is as good as the company promises. If you go through the content on the website, you will find statements such as ‘we only charge 8.99£ per page’. However, when we checked the actual calculator, we learned that the prices are a bit steeper than this. For example, a term paper within 4-day deadline and of Premium quality would cost £15.99 per page. This is not a high price at all, but it certainly isn’t as cheap as you may think when you first check the website. In addition to this, we were quite concerned about the fact that essaymania.co.uk offers only two quality options, and charges the same amount for every paper, regardless of the academic level! Seeing that different academic levels require different writing style and approach, this is a very bad sign about the quality offered here. As we previously said, the prices here are affordable and realistic, and they get even cheaper once you add the 15% first-time discount. Unfortunately, this is the only discount mentioned on the website, so do not expect to get extra benefits once you become one of the company’s loyal customers. When we ordered a paper from this service, we got on-time delivery and great service on behalf of the customer support agents. Still, our concerns about the paper quality turned out to be true, since the paper we got did not fit the academic level we selected. Since this wasn’t an option that will determine the quote on our order, we were not entitled to a discount of any kind. When we got in touch with the agents, they told us we should have chosen a higher quality option. Interestingly, we chose the higher of the only two quality options, and did not get a good paper. Based on our experience with essaymania.co.uk, we cannot recommend this company to students who need help with their papers. 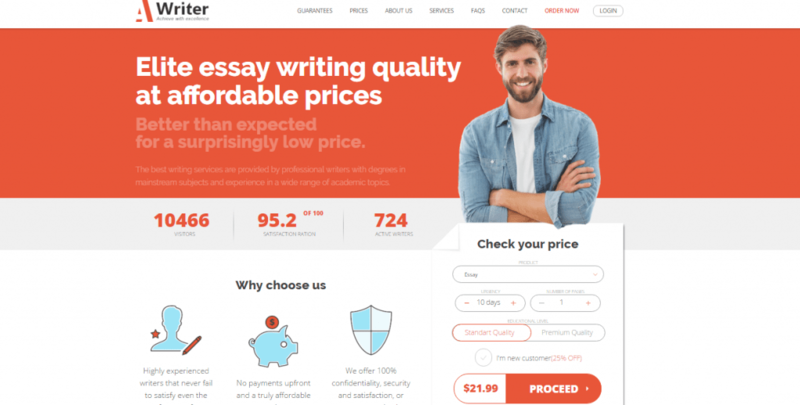 The prices are realistic and affordable, but the lack of qualified writers and strange pricing policy makes this company a bad choice for your papers.